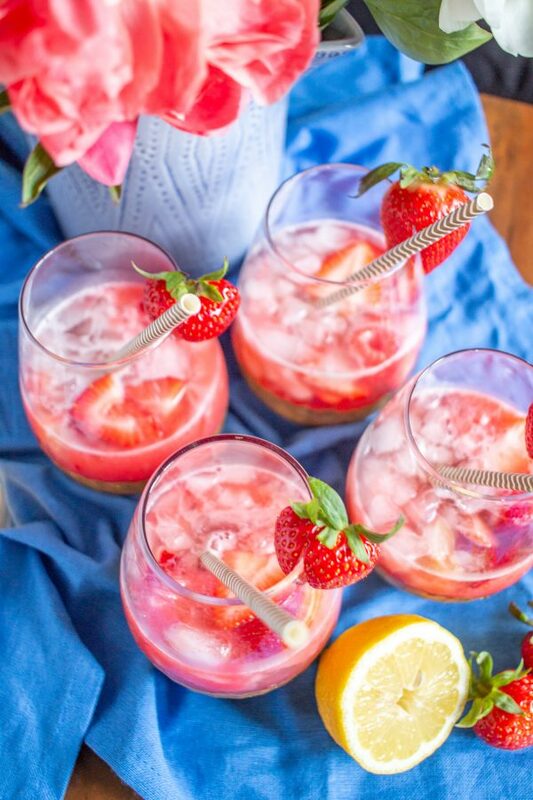 This Rosé Sangria is the easy to prepare cocktail that you will be making again and again this summer. It is refreshing and slightly sweet with a bold berry flavor. 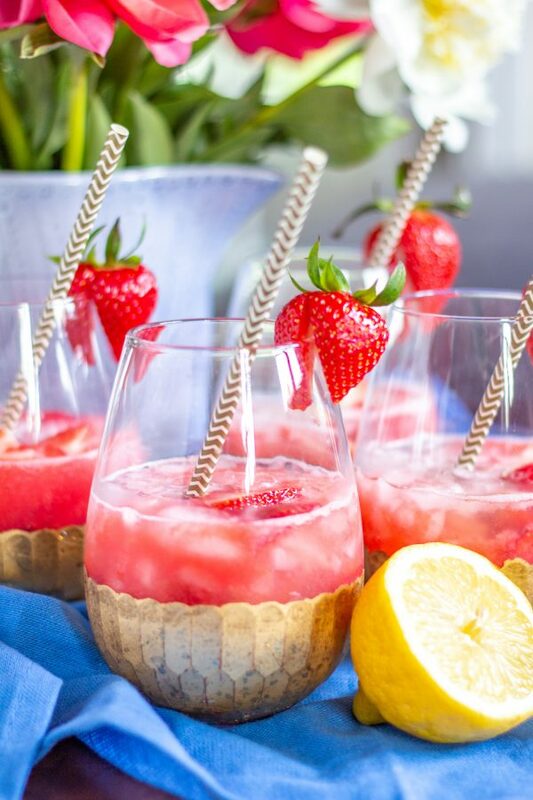 Strawberry raspberry puree, fresh strawberries and raspberries, vodka, lemon juice, and rosé come together to create a fresh and fruity Rosé Sangria that can be made in just 5 minutes. They say that rosé is summer water, it is one of the best things to sip on a summer day. 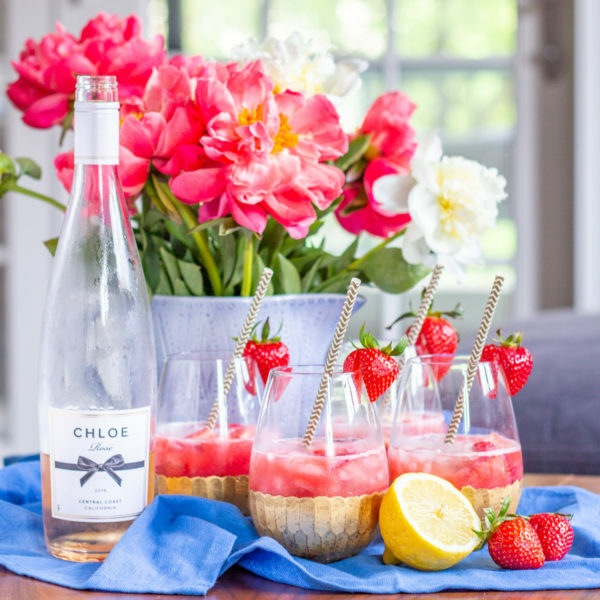 This recipe for Rosé Sangria turns everyone’s favorite summer wine into a light and fruity cocktail. 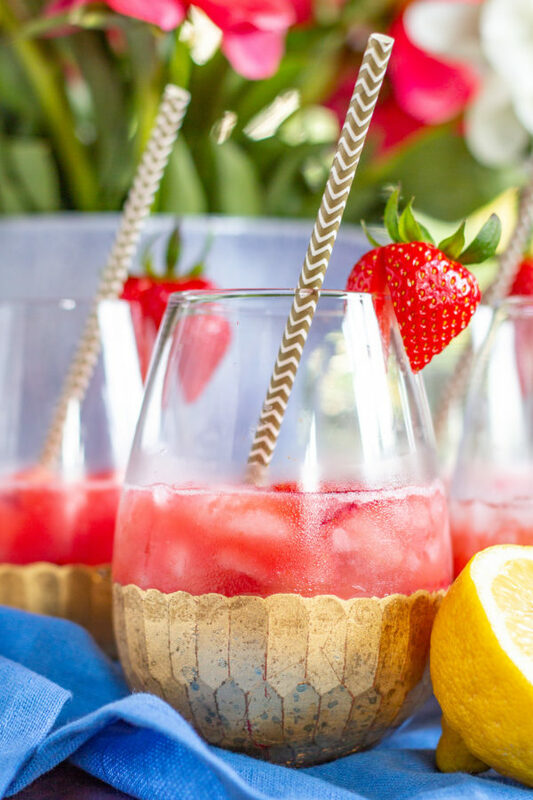 This Rosé Sangria is made with strawberries, raspberries, vodka, and rosé with a touch of lemon juice. I love the fresh fruity flavor of the berries. I chose to use strawberries and raspberries, but you could use blackberries, cherries, or peaches instead of or addition to the strawberries and raspberries. I like to use whatever looks best at the grocery store. 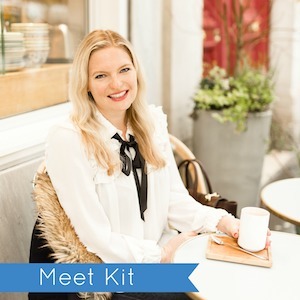 This cocktail can be made in just 5 minutes. 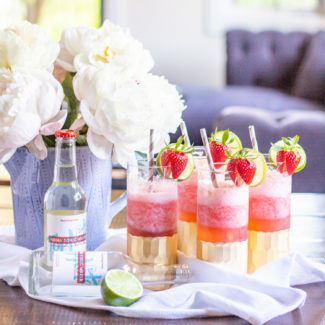 First, you pour the berries, lemon juice, and vodka into a blender and puree. I like to strain out the strawberry and raspberry seeds, but that is a matter of personal preference. Then I divide the puree between four wine glasses, add some berries and ice, and pour rosé over the top. Add a straw, gently stir, and serve. You can prepare the pureed strawberries and raspberries in advance. 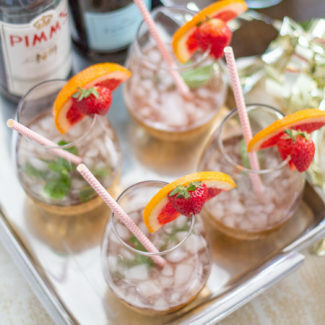 This would save you time if you wanted to serve this cocktail at a party. Just keep the puree in the fridge until you want to prepare the sangria. 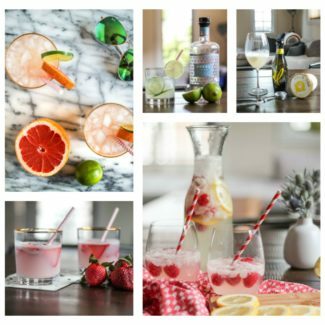 Rosé Sangria is easy enough to make on a random weeknight at home, but festive enough to serve at a party. 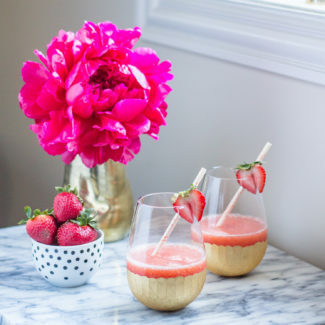 It’s bold pink color would make it fun to serve at a bridal shower. You may want to keep in mind that if you add blackberries or peaches it will change the color of the sangria. 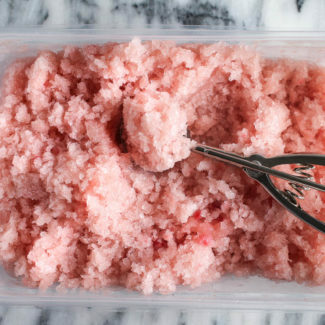 If you want to make frosé (frozen rosé), just put everything in the blender. Just add enough ice to turn the mixture into a slush. 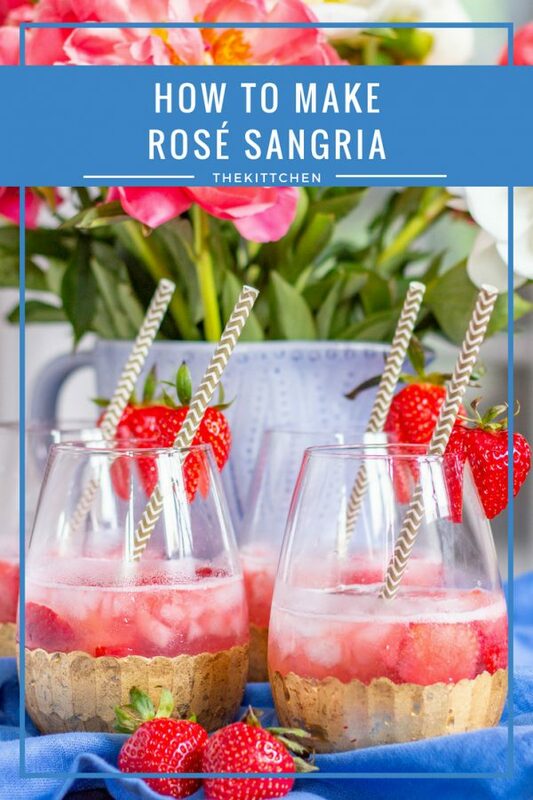 This Rosé Sangria is the easy to prepare cocktail that you will be making again and again this summer. 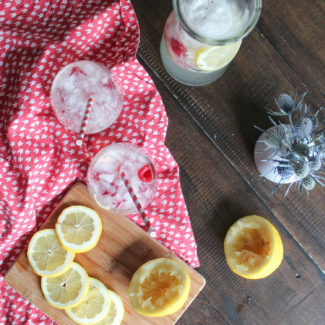 It is refreshing and slighty sweet with a bold berry flavor. 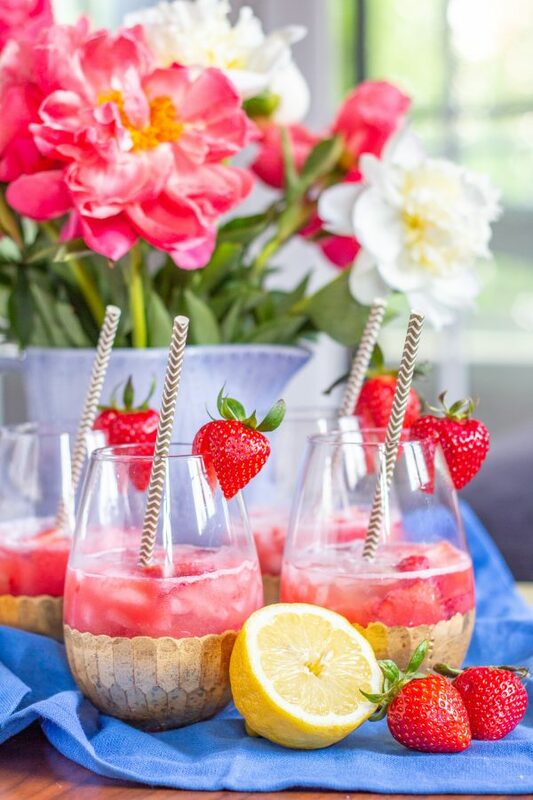 Strawberry raspberry puree, fresh strawberries and raspberries, vodka, lemon juice, and rosé come together to create a fresh and fruity Rosé Sangria that can be made in just 5 minutes. 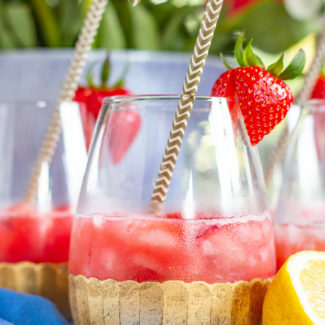 Pour 1 1/2 cups strawberries, 1 1/2 cups raspberries, the vodka, and lemon juice into a blender. Puree until completely mixed. If you would like to remove the seeds, strain through a fine mesh strainer. Fill 4 wine glasses with 1/2 cup of ice each. Slice the remaining strawberries and add them on top of the ice, along with the remaining raspberries. Pour the puree over the top, and then top with rosé.